Chewsing provides daily nutrients for the heart, protects it from invasive vices, and improves the environment. Chews Carefully. ^ This is all contained on the printable wrappers, which print three to a page! 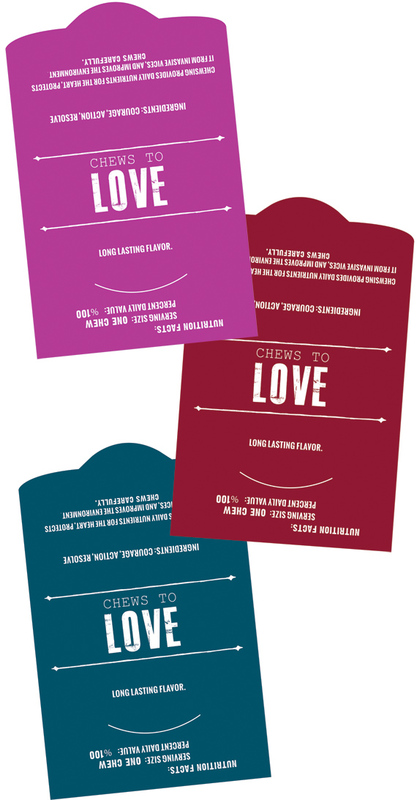 It's a fun alternative valentine to gift to guy and girl friends alike, and offer a little inspiration to their week:) Print the wrappers here. *Print on cardstock for best results! For other V-day ideas, check out recent DIYs. To see the three current giveaways going on over on the fan page, visit here! that is so cute! 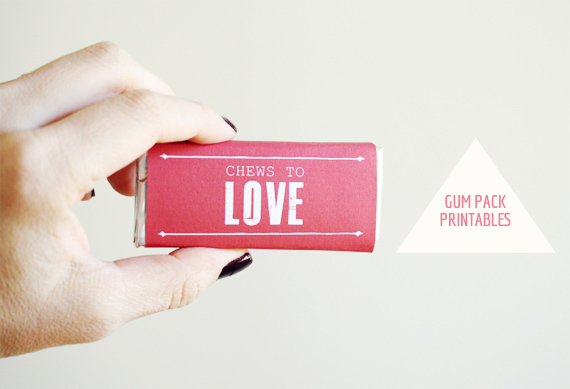 you've had such fun, cute Valentine DIYs, girl! oh man, these are so cute!! Love the style of them. I love anything with a pun, particularly if it's minty fresh. Yay for V-Day! This is the cutest! Love it! these are so unbelievably cute!!! What a cute idea!! Always so creative! This is such a cute idea - thanks for the link to the free printable! Very cute... Hope your having fun in NY!! !